A "Spill Proof" cup that helps if you have a weakness in your hands or wrists. Price excluding VAT.(Incl. VAT £10.90) *VAT Relief available on this product. 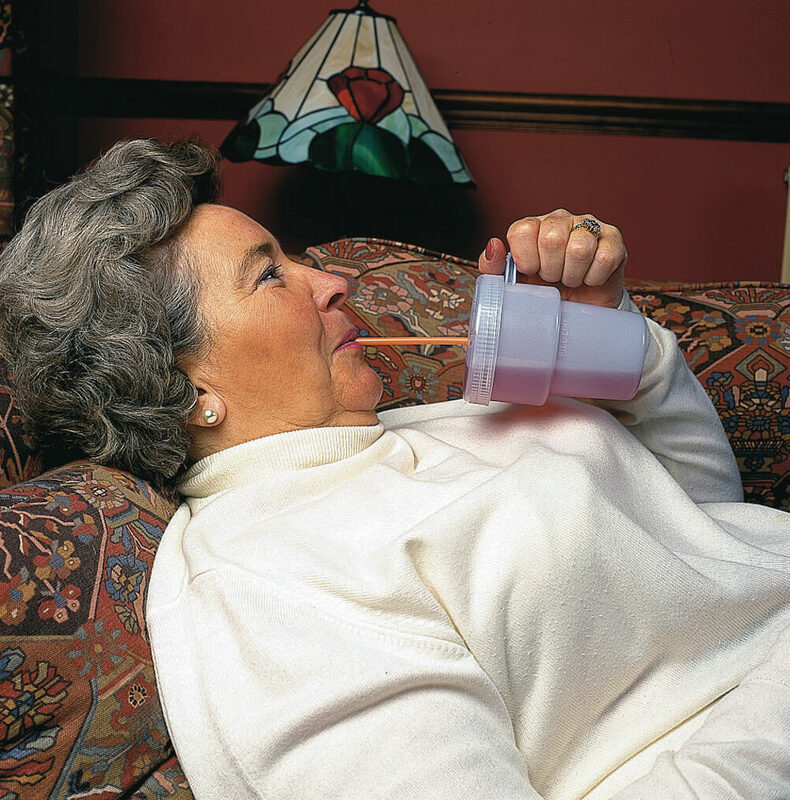 Do you find it difficult to drink when sitting or reclining? 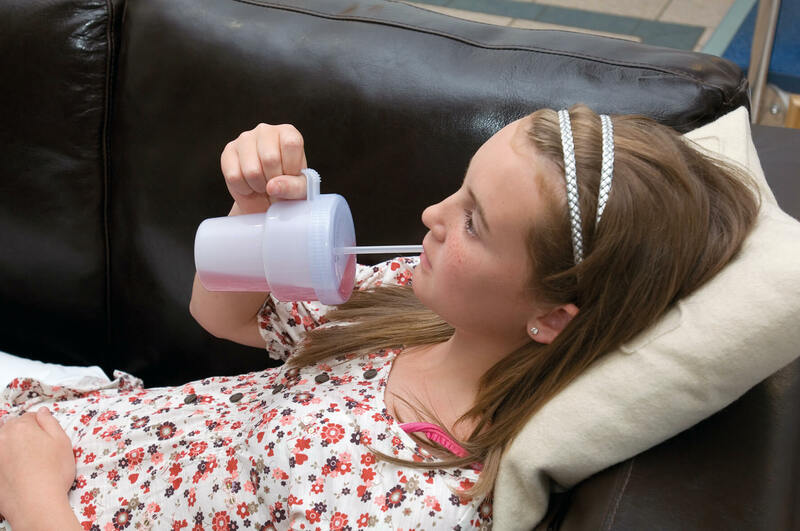 The Kennedy Cup provides you with a spill proof cup which really helps if you’re unable to tilt your head back or have a weakness in the hands or wrists. 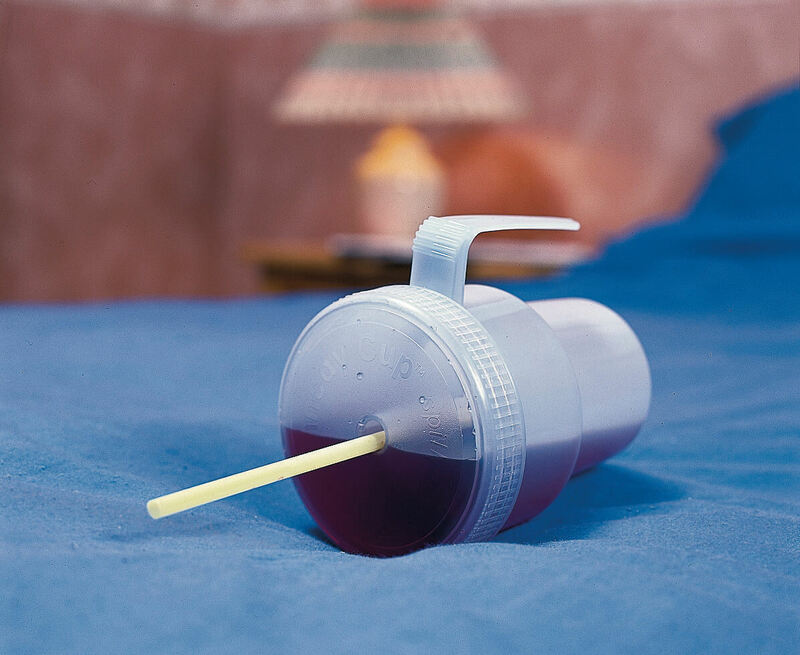 The lid screws to the main section of the cup tightly and securely, eliminating the risk of drips and spillage. A hole in the centre of the lid is compatible with any regular sized disposable straw. This cup is lightweight and compact enough to be taken with you on your travels, used in bed, or at the dining table. It is suitable for both left and right-handed people. The Kennedy Cup holds 200 ml (7fl.oz) of warm or cold liquid and is dishwasher safe up to 80 °C (180 °F).